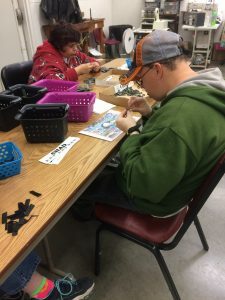 Creative Workforce Programs provide vocational assessment, training, sheltered work, supported employment, and job placement for nearly 100 adults with disabilities each year. Creative Workforce is a progressive and successful program with over forty-five years of experience, and thirty-eight years of CARF Accreditation, the highest accrediting body for community-based disability services. 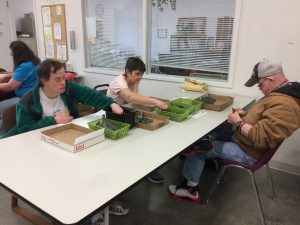 With job placement as the ultimate goal for adults with disabilities, the vocational program averages 30-35 sheltered, 15-20 supported employment, and 11-25 competitive job placements each year. 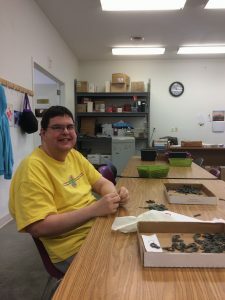 Paramount to the program is matching adults with disabilities to employment that fit their needs, interests, and skill sets to live a happy, healthy, and productive life. 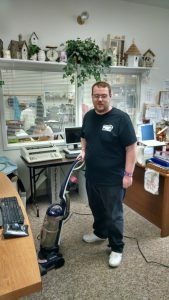 The Regular Work Program provides sheltered employment for people with disabilities that demonstrate need for a supervised work setting. The Supported Employment Program provides qualified adults with the support to work in their community at jobs of their choice. Through job placement and the support of a job coach onsite, both employee and employer are provided with tools for a positive and successful work relationship. Businesses employing SEP people with disabilities include: a day care center, fast food restaurants, nursing home, steak house restaurant, lumber yard, discount store, etc. The Job Placement Program provides support for adults with disabilities to find the right job using job matching, career searches, and employer contacts for people who are job ready. Post-employment contacts (90 days), and in some circumstances Job Coaches, are utilized to ensure people are prepared for their new position.